Welcome to paradise! This 6,500-square foot home located in Paradise Valley, Arizona is one of the top 15 luxury home transactions made in 2018. At HERSH24k, we are excited to announce that our clients just closed on an exceptional custom build from Argue Homes. This magnificent Paradise Valley property has a gorgeous view, that redefines the very definition of mountain views, and was the first Arizona transaction of its kind. The home has already proven to be worth hundreds of thousands more than the original purchase price. With this custom build featuring a modern design and the best that luxury real estate can offer, the builder and buyer are thrilled. 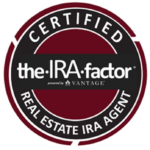 We congratulate our clients and thank Argue Homes as well as Hans Horchler, Jim McGuire, Nick Heth, Brad Kern, and Dana Mahler for making it all happen. At HERSH24k, we know that a great transaction not only involves buying your dream home, but growing your investment. If your dream home has that one-of-a-kind view or is a once-in-a-lifetime investment, make sure your realtor has the ability and experience to see it and make it happen. 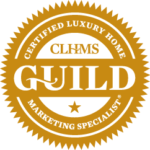 The HERSH24k name may be only two years in the running, but no luxury real estate group can match our vision and experience. 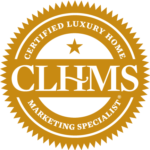 Interested in HERSH24K Luxury Properties? Contact HERSH24k Luxury Properties at 602-758-2400, email us at info@hersh24k.com, or visit our Contact page. We look forward to saying hello!